Telephone(CGC): +44 -1223 762416 . 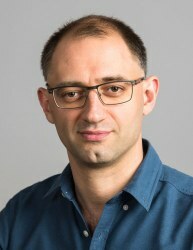 Dr Yury Alaverdyan is the Cambridge Graphene Centre Research Facilities Manager. Yury received his PhD in condensed matter physics from Moscow Engineering Physics Institute. His expertise is in plasmonics, nano-optics and nanofabrication. He is keen on developing nanomaterials and micro-technologies for optical sensing and light-harvesting applications.